During 2015, Europe’s leading M2M managed services provider Wireless Logic has seen its subscription base increase to over 2 million SIMs. Achieving this landmark figure, the organisation has taken an intensive journey focusing on its entire service delivery model. With a customer base exceeding 1000 solution providers across Europe, the need to deliver quality services has never been greater. With a number of key milestones to be reached, customer service and delivery has been a main priority for Director of Operations, Matthew Tate. Having arrived from Research in Motion just 14 months ago, Matthew and his Operations Team have performed a group-wide audit to understand just how the organisation has been performing for its growing group of customers. With annual growth of over 30% achieved consistently over the last eight years, Matthew acknowledges that the drive for excellence throughout the organisation has always been on ‘catch-up’ with the sheer mass of business being processed. “We have been surprisingly good in our service delivery given the dynamics of the market and our make-up, but to ensure sustainability in excellence I wanted to look at ourselves in greater depth,” explains Matthew Tate. 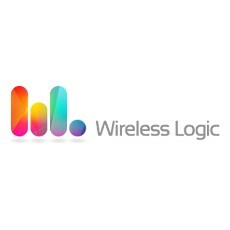 In just six months, Wireless Logic has invested significantly into customer insight, customer relationship management platforms and quality systems. Although insight has always been a mainstay of the organisation, a broader campaign of customer interviews, mystery shopping and review of operational platforms was commissioned. The data has resulted in a major shift throughout the organisation, realigning the entire customer experience. An implementation programme is now underway with a number of initiatives already in place. Wireless Logic Group is now ISO 9001 Quality Management certified – vitally important to customers whose own quality programmes expect such standards. A new engagement and information platform from Zendesk has been introduced which is creating an entirely new approach to how the organisation manages and interacts with customers. And a root and branch change to staff training will see team members receive ongoing development and support across all facets of the business as it evolves to meet the needs of current and future users of its M2M services. “Achieving ISO 9001 has been a journey that has really explored every corner of our operational service and delivery. With this standard in place, there is a real spirit of confidence knowing that our processes have been scrutinised and passed fit for purpose. Introducing Zendesk, the customer experience is now more seamless – customer intelligence, dialogue and communication channels are now united. This is a major step towards service excellence,” continues Wireless Logic’s Matthew Tate. Putting customers firmly at the centre of the organisation, further investment is being made across ‘SIMPro’, Wireless Logic’s SIM management platform now used by over 95% of its 1000+ solution provider customers. In its latest update, SIMPro is even more customer-centric with its easy-to-use cloud interface. In the coming months, a major programme to roll-out more ‘self-service’ modules will enable further customer empowerment to order, provision and manage entire SIM bases across multiple Mobile Networks, all in real-time. “With ambitious sales targets across the next three years, ensuring our own store is in order has been a major driver as we progress through our first year with Wireless Logic’s new Private Equity partners CVC Capital Partners on board”, concludes Matthew Tate.